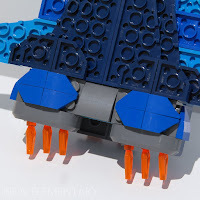 The New Elementary blog is featuring a handful of parts that have been release by LEGO in 2017 in a “parts festival” and one of my creations is featured in today’s article (Day 3). I built this little spaceship when I was in Portugal for the 2017 Paredes de Coura Fan Weekend in June, and attended a new elements workshop. 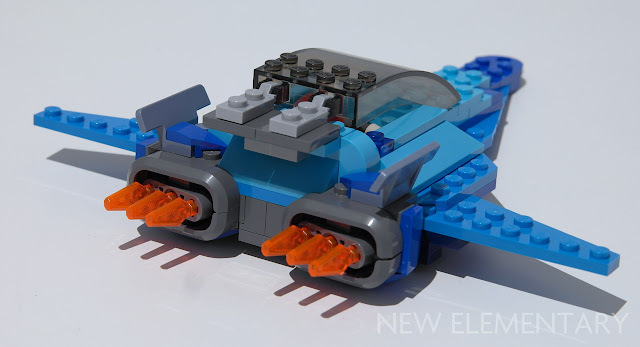 The New Elementary is the blog of Tim Johnson, who put on the workshop. LEGO supplied him with a bunch of the new parts, and at the workshop we were given some time to build something that featured them. There was also a nice assortment of more ordinary parts provided. 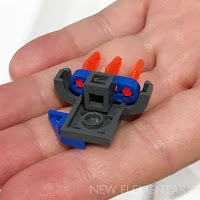 We didn’t get to keep what we built, but we were given a sample of the new parts to take home.